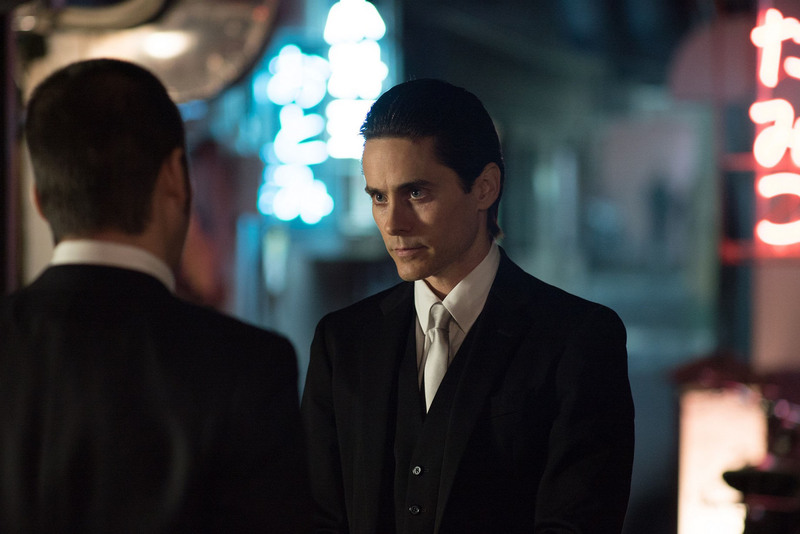 An American yakuza in Tokyo: Jared Leto stars in "The Outsider." In his 1999 book “Tokyo Underworld,” Robert Whiting told the real-life story of Nick Zappetti, a former American GI in postwar Japan who becomes embroiled in a world of yakuza and corrupt politicians. Subtitled “The Fast Times and Hard Life of an American Gangster in Japan,” it had all the hallmarks of a good film, though despite passing through the hands of DreamWorks, Warner Bros., Paramount and HBO, it never made it to the screen. Not in the way its author intended, at least. “The Outsider,” released on Netflix last week, is the not-remotely-true story of Nick Lowell, a former American GI in postwar Japan who actually becomes a yakuza. Andrew Baldwin’s screenplay, credited to an original idea by producer John Linson, had been doing the rounds for a while: In 2011, it ranked fourth in the Black List, an annual survey of Hollywood’s best unproduced screenplays. 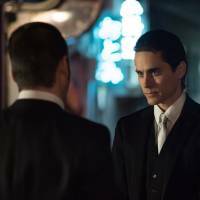 Michael Fassbender and Tom Hardy were both mentioned as potential stars, with Japan’s Takashi Miike lined up to direct at one point, before the producers settled on Jared Leto as Lowell, with Martin Zandvliet (“Land of Mine”) at the helm. While the reviews have been scathing, “The Outsider” is far from the worst film that Netflix will release this year. Given the rate at which the streaming service is churning out original content at the moment, it probably won’t even be the worst Netflix movie released this month. Yet it already feels like a relic of a bygone era, before the recent, dramatic shift in the conversation about representation in Hollywood. “The Outsider” isn’t technically an example of whitewashing — the practice of casting white actors in roles that were originally nonwhite — which earned last year’s “Ghost in the Shell” movie so much bile. However, it takes an analogous approach, by depicting a nonwhite culture through the experience of a white protagonist who has no good reason for being there, other than the outdated notion that Western audiences need a character they can “relate” to. The film doesn’t even make much effort to sell the implausibility of its central conceit: It only hints about the origins of its American anti-hero, and Leto’s glass-eyed performance ensures that he’s consistently the least interesting thing onscreen. Baldwin’s script shows a working knowledge of yakuza movie cliches, but neglects to explain how a Westerner with a rudimentary grasp of Japanese could penetrate such an insular and strictly codified criminal culture. It’s frustrating, because some of the most enduring Hollywood films about Japan have featured white characters tangling with the country’s criminal underworld. Ridley Scott’s “Black Rain” (1989) and Sydney Pollack’s “The Yakuza” (1974) both involved American detectives working cases in Japan; Samuel Fuller’s 1955 noir, “House of Bamboo,” depicted a criminal gang of ex-GIs in postwar Tokyo. All of them made a heck of a lot more sense than “The Outsider” does. It’s tempting to imagine how much richer, and more coherent, Zandvliet’s movie might have been if it had placed a Japanese-American or ethnic Korean character at the heart of its story — or somebody like Nick Zappetti. The whitewashing debate is worthwhile, but spare a thought for Whiting.